Win LOGO What Am I? from Drumond Park worth £24.99! LOGO What Am I? is all about fun, fun, fun! 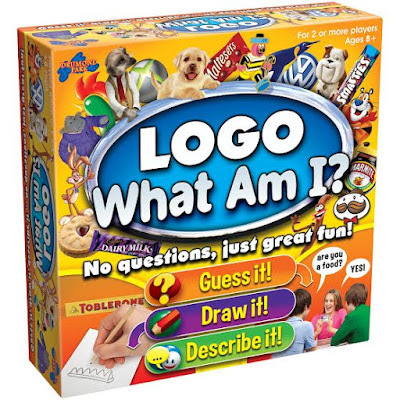 The first children’s title within the uber-popular Number One Best Selling LOGO series of picture board games, it combines the highly entertaining branded picture cards of the original LOGO game with new and exciting family-friendly challenges. What makes it different from LOGO itself is that now there are three activities built into the game... the participants get to use their guessing, drawing and describing skills in a fast and furious race to the finish! Multi-generational fun... For children on their own the hugely entertaining LOGO What Am I? draws together many crucial aspects of communication and gamesmanship. It is also perfect for the youngsters to play with their parents and older siblings or at multi-generational gatherings. Absolutely everyone will be able to relate to the famous name products and brands - and join in the fun. 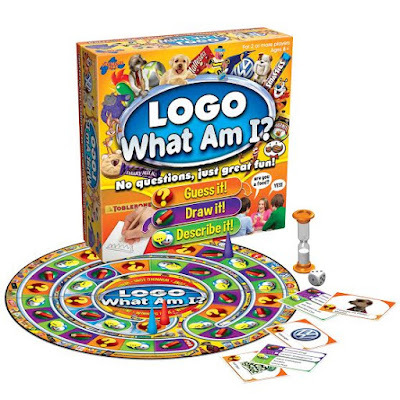 This great-value, high quality game comes complete with a colourful playing board and playing pieces, 60-second timer and hundreds of question cards featuring really well known companies and brands. So stand by for riotous rounds of frantic drawing, describing and guessing, where everyone has a really good chance of being a winner! Game play is simple. Each card has three different categories – Draw It, Describe It and Guess It - and the activity to be carried out relates to the icon upon which the player’s piece is resting. who guessed with them correctly on that turn. Suitable for ages 8+ for 2-6 players. Please note: You must at least follow/like both Unique Young Mum and Drumond Park on at least one social media platform! To find out more about Drumond Park and their other brilliant games, check out the official website here.